A knock down drag out bubble gum battle! Sniff here! If you go back in time a touch over two years, you can not only see me purchasing the Yamazaki 12 for $60, but you’ll see it on the shelves in liquor stores everywhere! I remember getting it home and being greeted by a simple twist cap versus the typical cork bearing cap. I also remember Yamazaki winning whisky of the year in 2015 and not being able to find it anywhere for any reasonable price so I apologize in advance if you can’t find it anywhere to try it. On the plus side, the Brenne estate cask is finished in cognac barrels and has a fun and light flavor profile. Having shared it with friends, I’m well aware that the nose and the palate are not only the same but extremely friendly to the a new taster’s palate. It’s also readily available in many stores (at least in the DC metro area; DMV). 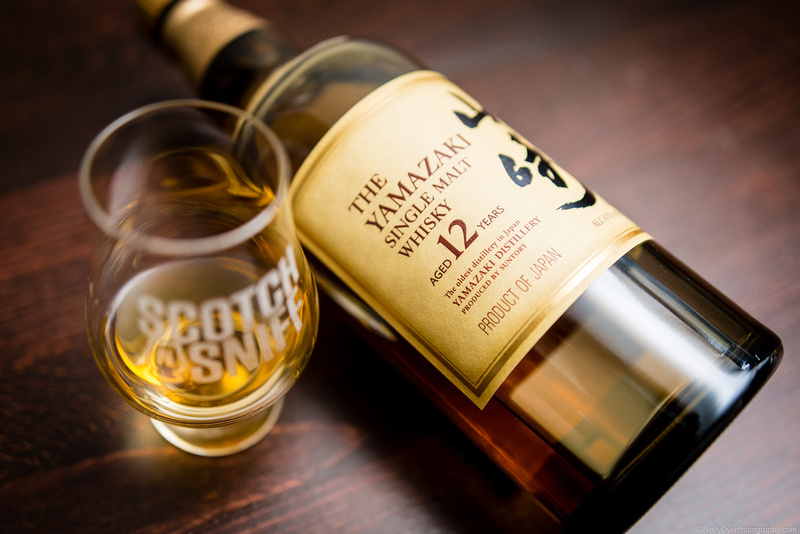 The Yamazaki is a light gold color with a touch of brown on the fringes. Next to the Brenne they look identical. When I first cracked open the Yamazaki, I was only a dozen scotches into tasting and I smelled some of the same notes in the nose as I smell right now but I think a couple of years (and hundreds of more tastings) has given me plenty of time to refine my olfactory senses a bit. I notice immediately that the bubble yum I smelled before is much more subtle and floral notes take the forefront of my attention. There’s still quite a bit of saccharine sweet hiding just behind the flowers though. The Brenne, on the other hand, is a bottle of candy. It is bubble yum bubble gum through and through. I’m not sure what aspect of the cognac cask imparts this flavor but it’s easy to nose and frankly, to love. 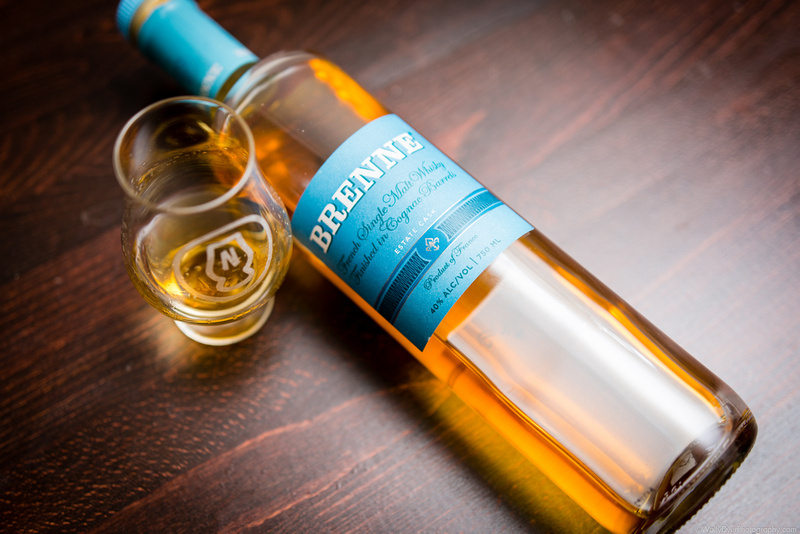 [Scotch] and I met Allison P., the owner of Brenne at Whisky Extravaganza last year and she seems to be full of great ideas. Between this offering and her Brenne Ten, she’s a genius at delivering extremely unique flavor profiles. Ah, the crafty French! The Yamazaki hits the tongue with a slightly tannic effect. It’s a well balanced mix of spices, pure sugar, and flowers. The balance is pretty typical across Japanese offerings. 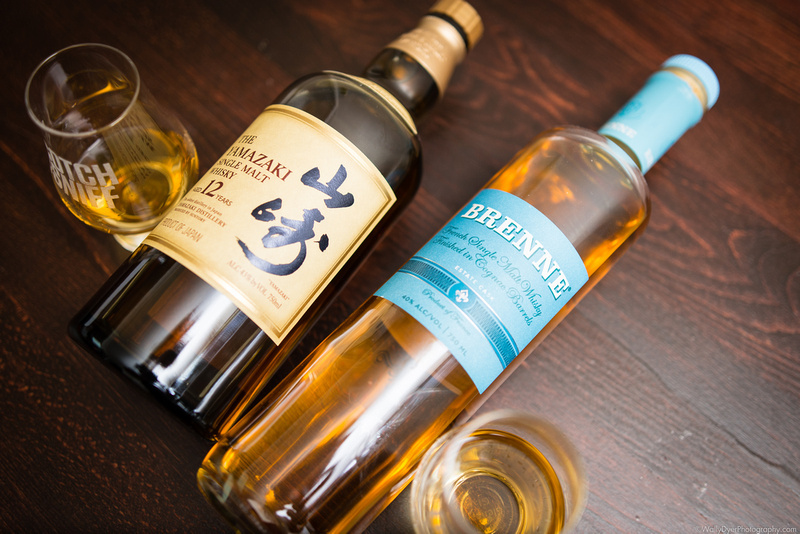 [Scotch] and I have talked many times about the flavor profiles of the Hibiki offerings and how balanced they are with something for scotch lovers of all Scottish regions. Lucky for me the Yamazaki leaves the Islay region out and pelts my tongue with all things Speyside. If you’re a lover of glenfiddich, you’ll find this very tasty (but you’ll notice the tree fruit like apple and pears are missing). The finish is an amalgam of all things soft. It finishes like a warm blanket on a cold night. Wrapping your palate up in a smooth and light and almost refreshing feel. The Brenne is not a surprise. It’s also light but tastes identical to its nose! It’s not a dram that makes you wonder if the nose and palate were separated at birth. It’s like chewing bubble yum with never ending flavor! The finish is the same and also fitting. It’s hard NOT to like this type of sweetness if you’re in the mood for it. It’s as one noted as most bourbons but it does so with class. The way it lingers is dreamy. So there you have it! These aren’t the most complex of offerings but they have their place. At the $50-$60 mark they taste great and can be enjoyed by any palate. What more can you ask? Let’s not count them out! Maybe we need to have a 12 year old battle royale!!! Stay tuned!! Oh, almost forgot! Which would you rather drink? 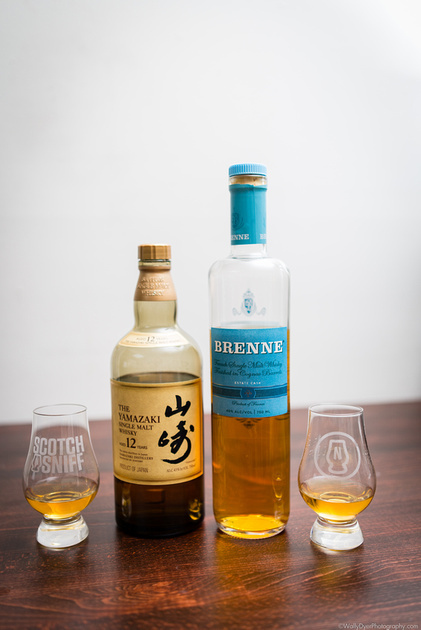 The Yamazaki or the Brenne?